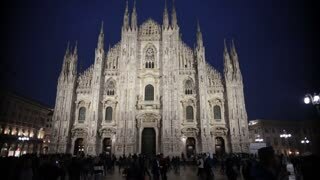 Search Results for "milan cathedral"
Time Lapse of People at Duomo di Milano or Milan Cathedral in city of Milan , Italy . 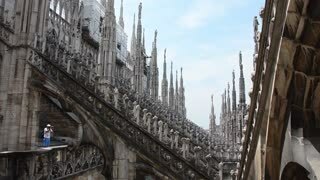 Milan Cathedral is the largest church in Italy and the third largest in the world . Tourist attraction of Milan . 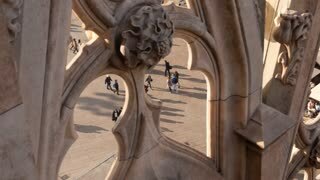 Milan Cathedral (Duomo di Milano) is cathedral church of Milan, Italy. Dedicated to St Mary of Nativity (Santa Maria Nascente), it seat of Archbishop of Milan, currently Cardinal Angelo Scola. Milan, Italy - 6 May, 2018: Milan Cathedral is the cathedral church of Milan in Lombardy. 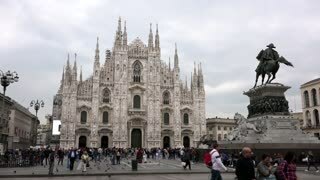 Dedicated to St Mary of the Nativity, it is the seat of the Archbishop of Milan. Walking on the roof. Milan, Italy - 6 May,2018: Milan Cathedral is the cathedral church of Milan in Lombardy.Dedicated to St Mary of the Nativity, it is the seat of the Archbishop of Milan. 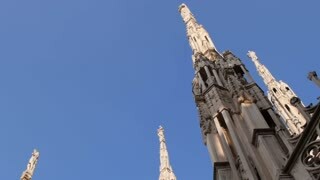 MILAN, ITALY - June 27, 2017: Tourist walking near Milan Cathedral Duomo Milano, 4K video, on June 27, 2017 in Milan, Italy. Milan, Italy - 6 May,2018: Milan Cathedral is the cathedral church of Milan in Lombardy.Dedicated to St Mary of the Nativity, it is the seat of the Archbishop of Milan.Walking on the roof.